This competition, match grade 5.56x45mm ammunition is sure to put you at the top of your game! 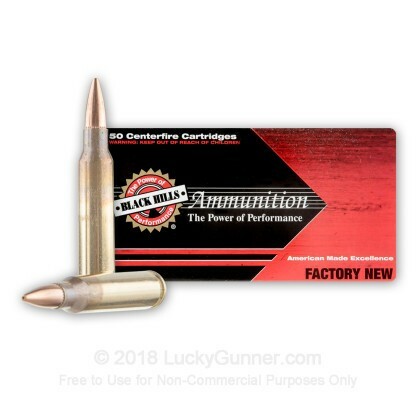 These 50 rounds, manufactured by Black Hills, contain a 77 grain Sierra MatchKing open tip match bullet that flies through the air with the accuracy and precision you expect from professional grade ammunition. This civilian load is almost identical to the U.S. military's MK262 Mod 1 round, but with a minor difference in the primer and powder. Developed by Blackhills Ammunition, along with the US Army and US Navy, this round offers increased accuracy and lethality. The advertised muzzle velocity of this ammo is 2,750 feet per second, with a muzzle energy of 1,293 foot pounds of force. These rounds are Boxer-primed, brass cased, reloadable and non-corrosive. Black Hills Ammunition was founded over 30 years ago. They supply match-grade 5.56 ammo for the U.S. Military's Service Rifle Teams, as well as other specialty ammunition for various military operations. They also provide Cowboy ammunition in more calibers than any other ammo company. Order your supply of this match grade ammo and see what makes Black Hills' reputation so great! Tight groups at 200 with no apparent difference in round to round performance. My black rifle is no tack shooter, but this ammo is as good as it gets. Heavy bullet will deliver the terminal punch. My use is almost exclusively through a 16" 1:7 twist Colt barrel. You might be spending a buck every time you pull the trigger, but this ammo takes all of the variables out of the equation. As long as you're feeding it to a good rifle with 1/7" (at least 1/8" twist) it'll group better than you can shoot. So you know it's you, not the rifle. I have a couple of friends that have been handloading for decades and MK262 is just as good, if not better, than their best handload. Oh, and it hits pretty hard by the way. Knocking over my steel plate at 200. Most open tips just go splat. 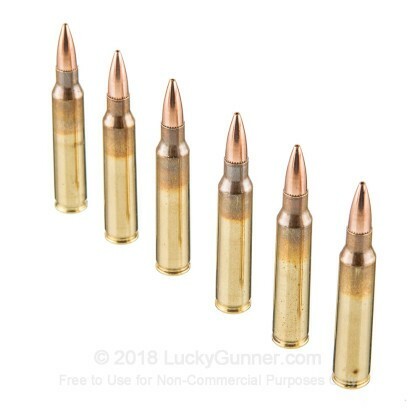 Pricey, but great ammo! Shot this yesterday from a 16" PSA Premium M4 and an 8.5" Pistol build. With the Primary Arms PAC-3X Prism Scope on the 16", I was easily ringing 8" and 12" steel plates from 200 to 500 yards. In the 8.5 pistol build, zeroed to 50 yards, it shot tight and accurate with my PA Micro Dot. Was even consistently able to ping the 200 yard steel plate with the 8.5" pistol. Great accuracy and consistent performance builds confidence in your weapon system and your ability to apply its capabilities. 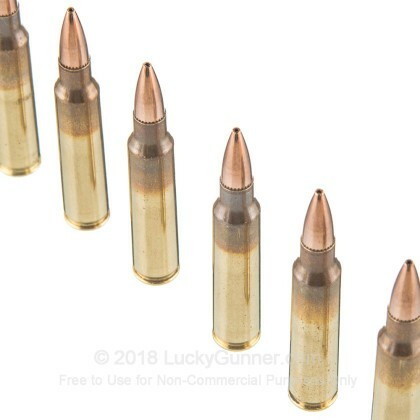 This ammo gives you all of this! If you don't reload and you're looking for accurate AR ammo for a rifle match, definitely give this a try. I shot a bunch of different brands for group, including Hornady, Nosler, Federal, and the Mk262 is by far the best. At least out of my 20" 1/7" twist AR. The best accuracy I can get out of my 10.5 inch AR-pistol. consistent groups less than 2"" at 100yds. I have been shooting a redline Sierra 77grn MK (non-cannelured) load now for far more than a decade outta my CR6724 in "F" class (2001-3) and out to 1000 yards long before these MK262 Mod1 rounds were developed and these rounds from Black Hills are almost indistinguishable from my own (mine are more accurate simply because my brass has been through the chamber of my rifle and reloaded (meticulously) multiple times on the same Dillon over and over again). I bought these to use in my M4 rifles as they are exceptionally accurate, reliable and hot but safe. I have had no malfunction issues whatsoever with them, they have run 100% for me in several M4s, they are very accurate, BH is high quality and I would buy them again and probably will. Consistent performance in a 16" 1/7 twist barrel AR-15. 2-inch or better groups at 100yds. This rifle has not shot groups this tight with any other ammo. 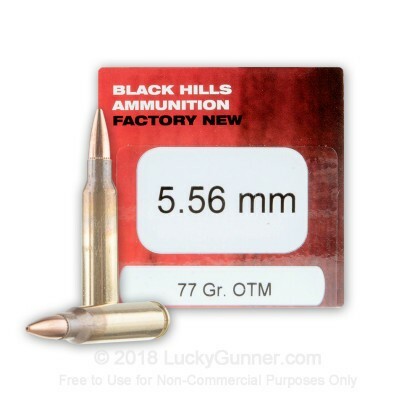 Q: What is the G1 ballistic coefficient of the Black Hills 77g OTM bullet? 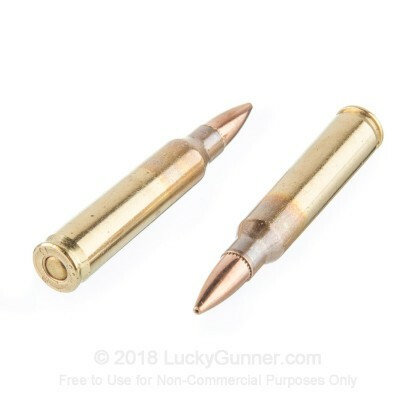 Q: I have checked several ballistic calculators, all of which indicated this load should preform well in 1:8 twist barrels; however, I’d appreciate Lucky Gunner’s opinion. Thanks,! A: Hi Roy, A 1:8 twist barrel will do best with a grain weight between 62 and 77 grain. It can use weights as low as 40 grain or as high as 87 grain with a slight reduction in accuracy. It is not recommended to go lower or higher than this range as performance will suffer. Q: What exactly is the difference between the military version vs the civilian version? A: Hi Jeremy, The civilian version, such as this one, will typically have more polishing and finishing done to the rounds. The military version was made for military use and the military puts more emphasis on function over aesthetics. We also have this 5.56x45mm - 77 Grain Sierra Open Tip Match - MK262 Mod 1 - Black Hills Ammo - 500 Rounds ammo in stock in a bigger quantity.